This weekend I had the great opportunity to audit the NEDA symposium with Bettina Drummond, a highly respected classical dressage trainer, educated by Nuno Oliveira (one of the great Portuguese masters) and the French school at Saumur. 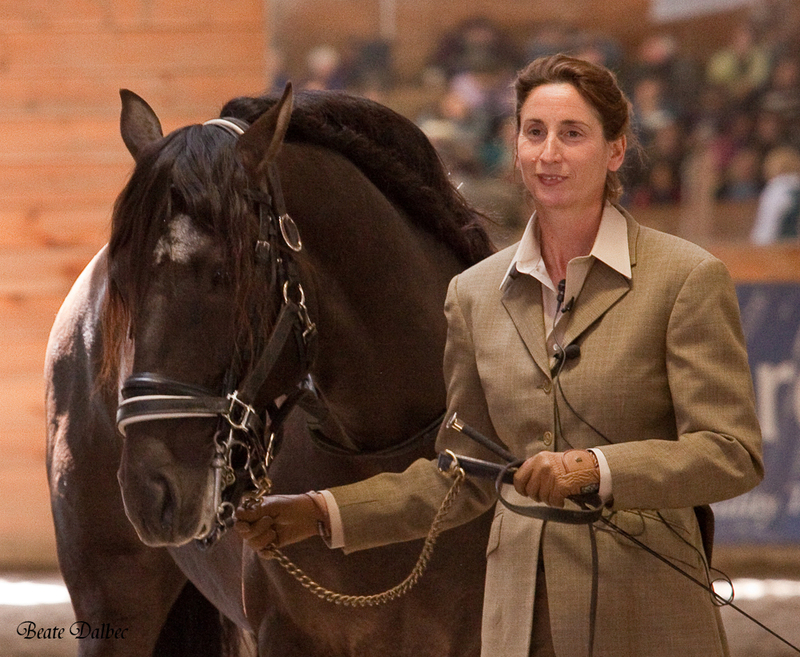 For her, dressage is clearly an artistic endevour, a way to let the horse express itself. Nobody would ever doubt that ballet is an artform, but the opinions seem to differ when it comes to dressage. The dressage one sees in competition arenas a lot of times is more sport than art. But then there are also plenty of riders (myself included) that train dressage not for competition, but for pure enjoyment, trying to achieve maximum harmony with our dance partner – the horse. The road to create a work of art in dressage is long and steep. Your partner is a horse. You have to learn to communicate with each other by means of feel and touch. You might find out after a few years that your horse does not have the mental or physical capability to become the dancer you would like him to be and you either have to learn to stay within those limits or start from scratch. And then there are a lot of unforeseen variables – after all, you are dealing with a living being. After years of daily work you might achieve your goal, a living work of art, when your horse performs with such ease and through such subtle communication that it can hardly be detected by the observer. It requires ultimate dedication. My own work of art is still in the rough draft stage, shall we say, but I am working at it daily. 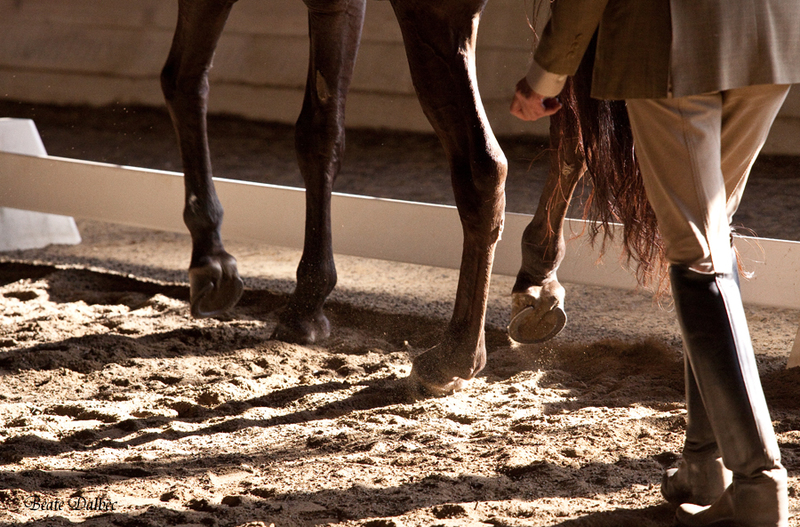 Dressage teaches humility and patience. You learn to be happy with tiny successes. It was an inspiration to observe a true equestrian artist at work this weekend. I love your text about the art of dressage. You describe exactly, what I wanted to say on my webpage. Please let me know, whether you allow that I quote, providing the source. I’m glad you like it! If you provide the source you are welcome to quote.